Home Family Law When Does My Child Support Obligation End According to Florida Law? 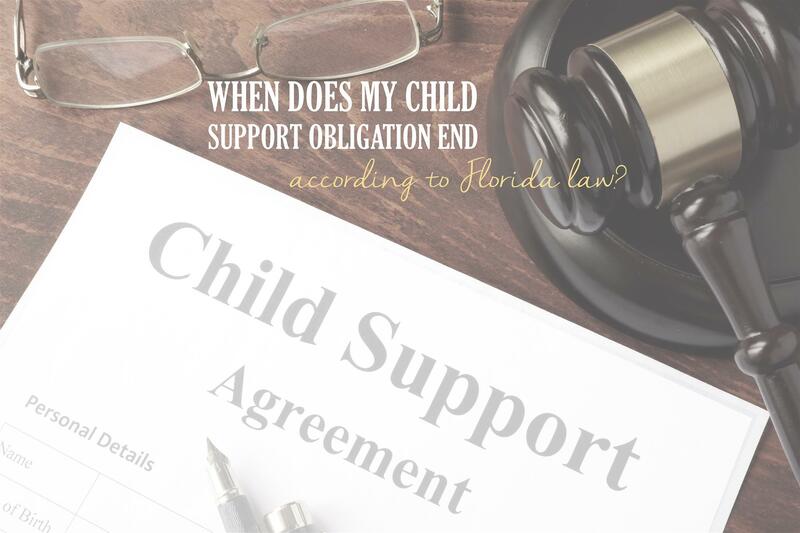 When Does My Child Support Obligation End According to Florida Law? Supporting your children financially, whether they live with you or not is not only part of being a parent, but it is also a part of the law. There are a various of situations that may bring child support payments to an end with the most common reasons being that a child has reach the age of majority and graduated from high school. In Florida the age of majority is 18. when the child turns 18. In October of 2010 Florida passed a new law that can extend the age at which child support may end. This new law requires all judges to include a date of termination in all divorce. If child support is paid on time and up to date, then the court ordered child support obligation should end at the date of termination. However, if there is back-child support and if someone is behind in child support, their payment obligation can extend until the obligation is paid in full.